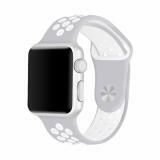 This Watch Strap for iwatch is made of advanced silicone to offer soft texture and tactile impression. It will work perfectly with your iWatch. Just take it to add color to your life. 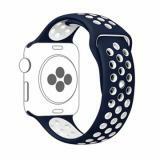 Silicone Watch Strap for iwatch, which adopts silicone material with 2 colors and excellent breathability, has super flexibility that suitable for the most persons. 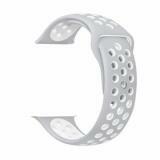 In addition, it comes with multiple hole-locations design to for optional adjustment and several colors for selection. Furthermore, unibody design will offer up-scale texture. 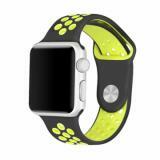 • Quick links: Bluetooth Smart Watch with Camera, Digital Wrist Watch. 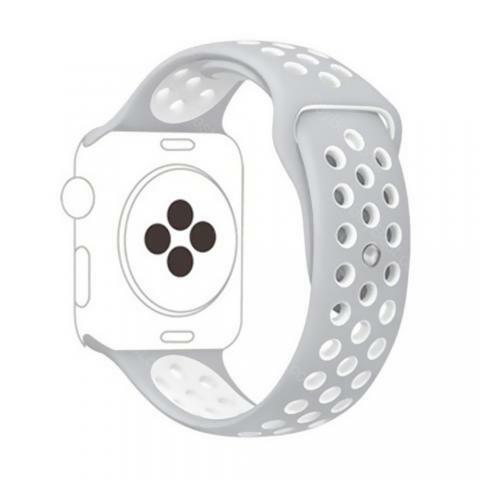 The silicone watch band works perfect, very soft, and much better than the apple ones. Definitely planning on buying more bands in different colors. The feel and durability of the watch bands are great. 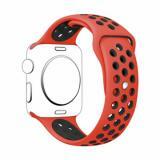 It fits my wrist perfectly and is easy to close. The material is same as the one that came with my original watch. Good buy, excellent price. The strap is comfy and looks gorgeous. Matches my outfit well. Would shop another color. Very impressed with the quality. This silicone watch strap looks and feels just like the Apple brand, and fit exactly like it. So far no complaints. I bought e cigs on the site and came across this nice-looking strap. It's surprised that the quality is bravo with such low price. Nice site.